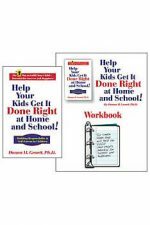 This 36 page workbook is used by individuals wanting to learn even more about delegation and by participants in our training programs. 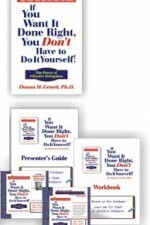 The comprehensive guide for presenters to ensure a successful training program of If You Want It Done Right, You Don’t Have to Do It Yourself! The Power of Effective Delegation. 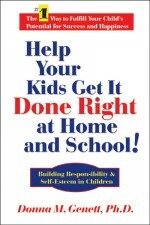 CD includes 75-slide PowerPoint Presentation to use in conjunction with Presenter’s Guide. PowerPoint software not required. Microsoft PowerPoint Viewer included on CD. The learning program to help people in organizations train their employees. 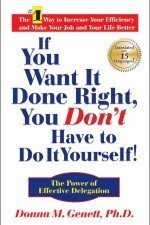 1 Want It Done Right Presenter’s Guide. 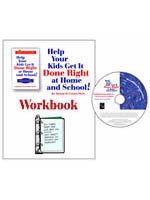 11 Want It Done Right Workbooks (10 for participants; 1 for trainer). 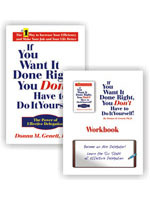 11 hardcover books of If You Want It Done Right, You Don’t Have to Do It Yourself! The Power of Effective Delegation. 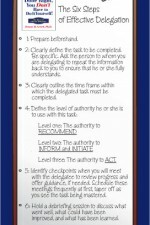 This handy desk reference card lists the Six Steps to Effective Delegation — perfect to use as a checklist when delegating tasks.